Some five years after the adoption of the Soil Thematic Strategy, on 13 February 2012 the European Commission published a policy report on the implementation of the Strategy and ongoing activities (COM(2012) 46). The report provides an overview of the actions undertaken by the European Commission to implement the four pillars of the Strategy, namely awareness raising, research, integration, and legislation. It underlines that at the March 2010 Environment Council a minority of Member States blocked further progress on the proposed Soil Framework Directive and that the proposal remains on the Council's table. It also presents current soil degradation trends both in Europe and globally, as well as future challenges to ensure protection. The report invites the European Parliament, the Council, the European Economic and Social Committee and the Committee of the Regions to submit their views on it in order to protect European soils, while at the same time ensuring their sustainable use. The policy report has been supplemented by a reference report ‘The State of Soil in Europe’ of the European Commission's Joint Research Centre providing a comprehensive overview of our present understanding of soil resources and degradation processes. It has been published in collaboration with the European Environment Agency and is a contribution to the Environment State and Outlook report – SOER 2010. The texts of the above-mentioned documents are available in all official languages in the Pre-Lex database. The Thematic Strategy for Soil Protection consists of a Communication from the Commission to the other European Institutions, a proposal for a framework Directive (a European law), and an Impact Assessment. The Communication (COM(2006) 231) sets the frame. 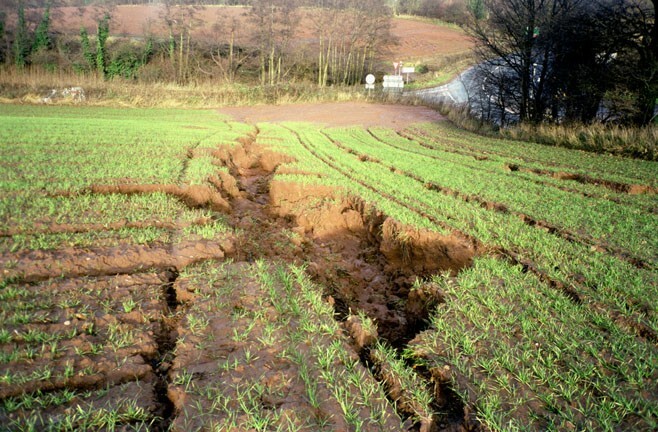 It explains why further action is needed to ensure a high level of soil protection, sets the overall objective of the Strategy and explains what kind of measures must be taken. It establishes a ten-year work program for the European Commission. The proposal for a framework Directive (COM(2006) 232) sets out common principles for protecting soils across the EU. Within this common framework, the EU Member States will be in a position to decide how best to protect soil and how use it in a sustainable way on their own territory. The Impact Assessment (SEC (2006) 1165 and SEC(2006) 620) contains an analysis of the economic, social and environmental impacts of the different options that were considered in the preparatory phase of the strategy and of the measures finally retained by the Commission.